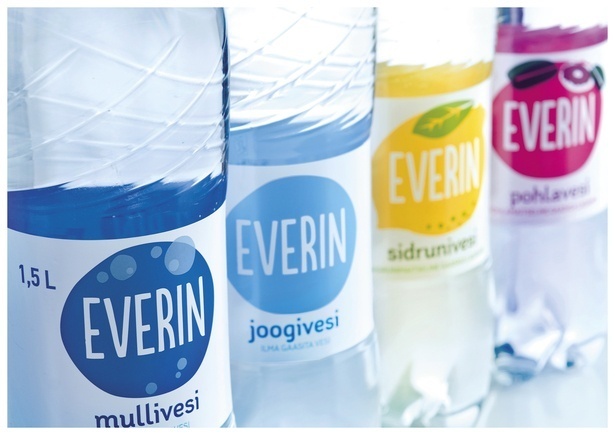 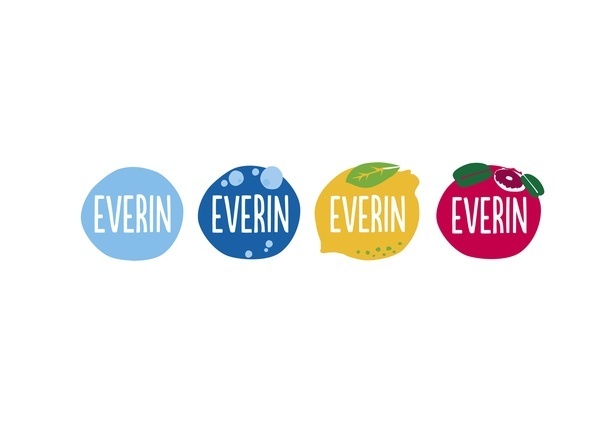 New Everin water label has an innovative solution of two-sided print. 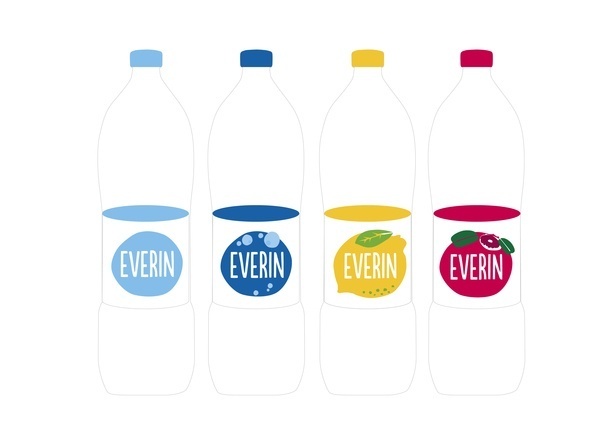 The inner side of the label is printed colourful to make a contrast with the lighter outer side. 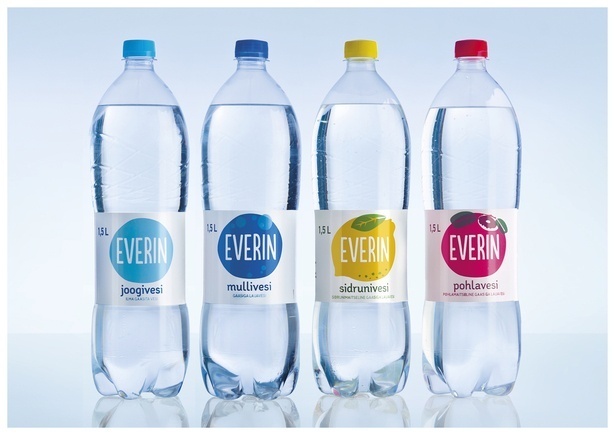 So when you see it in the store, it seems to have a colourful halo effect – lemon flavoured has a yellow halo, cowberry has pink and red glow and pure water has a blue halo.